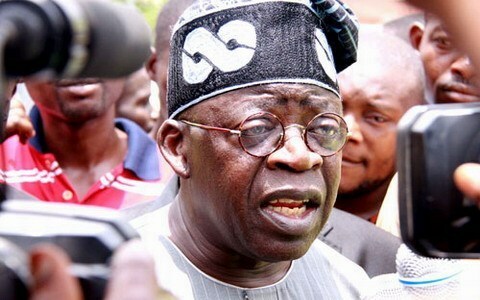 The National Leader of the All Progressives Congress (APC), Bola Tinubu, has cautioned the Federal Government against any increment in the Value Added Tax. Speaking, yesterday, during the 11th Bola Tinubu Colloquium organised to mark his 67th birthday in Abuja, Mr Tinubu urged the Government to reconsider the move. Why Tinubu is against VAT increase: According to him, the increase in VAT wouldn’t do the country any good. Instead, the hike will only increase the cost of living in Nigeria while also reducing the spending capacity of the people. The Federal Government’s plan to increase VAT was disclosed by the Federal Inland Revenue Service (FIRS) Executive Chairman, Tunde Fowler, during his appearance before the Senate Committee on Finance. The VAT increment was proposed as one of means through which the Buhari administration will fund the new national minimum wage. The proposed VAT increment: Fowler said the proposed payable VAT by Nigerians based on the increment would actually be between 35 per cent (6.75%) and 50 per cent (7.25%). The government is currently charging five per cent VAT on all products in the country. In a series of tweets from its Twitter handle, @firsNigeria, the FIRS clarified media reports that Fowler had pushed for an increase in the Value Added Tax (VAT). The tax body said its Chief didn’t request for 50 per cent tax increment. “TUNDE FOWLER, THE EXECUTIVE CHAIRMAN, FEDERAL INLAND REVENUE SERVICE, FIRS ON TUESDAY CALLED FOR AN INCREASE IN THE NUMBER OF NIGERIANS AND COMPANIES PAYING VAT AND NOT A 50 PER CENT INCREASE IN VAT RATE. The tweets emphasised that although Mr Fowler indicated that there should be an increase in VAT rate by the end of the year, he never suggested a 50 per cent hike of any percentage increase at all.